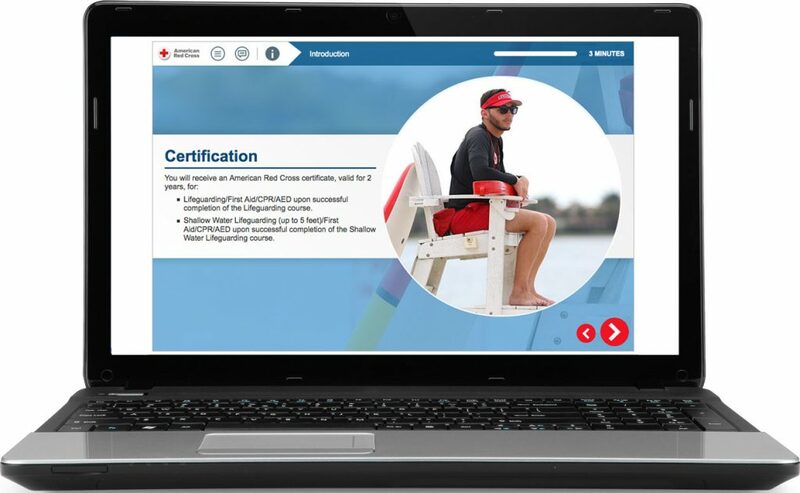 Prior to the Lifeguard class, all participants must complete the online course. Please allow 7 hours to complete the online course. For best results use Firefox and disable pop-up blockers. You must CREATE LOGIN for the Red Cross in order to complete the online course. To begin the online course click the button below. Note: You must CREATE LOGIN for the Red Cross in order to complete the online course. If your browser prompts you with a question about secure content, answer it in a way that allows you to see all material.